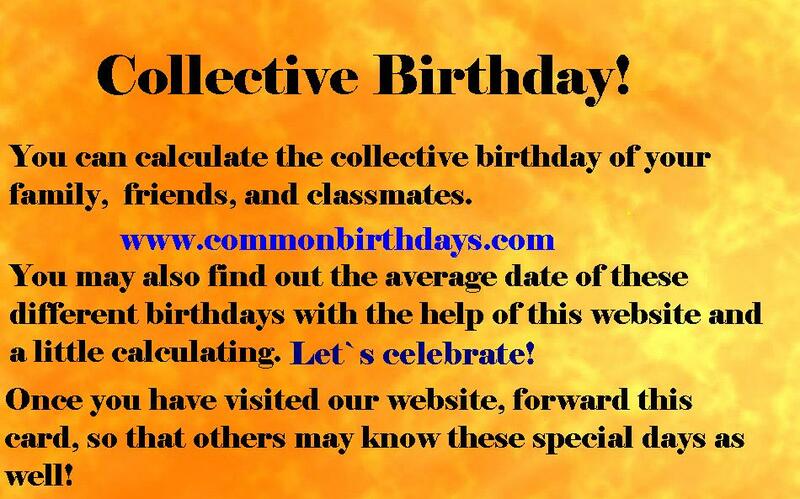 The main idea of the Collective Birthday Calendar is to calculate the common birthdate of many people together. The program is able to calculate the average birthday of 2-30 people collectively, up to the 2000th birthday. I can highly recommend this new "Collective Birthday Calendar and I wish you good luck and many happy "collective" birthdays! 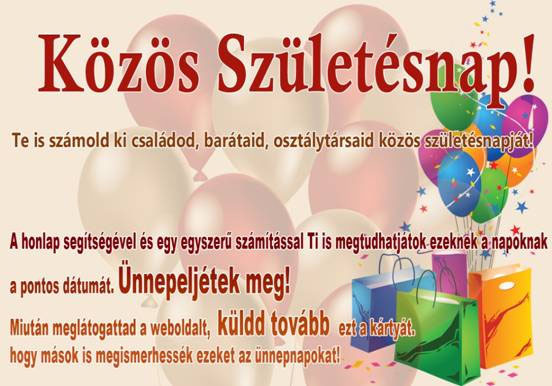 P. S. This website was published on April 7, 2010 in Hungary.